The United Nations Children’s Fund, UNICEF, is a global humanitarian and relief organization that is focused on poverty, violence, disease and discrimination affecting children. As a key element of the United Nations, the organization is active in more than 190 countries and territories through country programs and National Committees. Jozian & UNICEF have signed a long term agreement to provide software services to UNICEF’s Child Protection in Emergencies (CPIE) team. This team has developed an open source information management system which currently provides case management and incident monitoring to humanitarian teams around the world and the new agreement means that the two organizations and others can now work together to further scale these services. With more than 65 million people worldwide classified as refugees, the world is witnessing one of the greatest humanitarian crises in history. As war, hostility and violence force millions of people to flee their home countries, the global refugee crisis has generated an unprecedented need for new expertise in responding to large-scale humanitarian emergencies. Such emergencies have devastating effects on children – physically, psychologically, and emotionally. Children are disproportionately affected, making them vulnerable to family separation, loss of loved ones, and sudden forced dislocation, violence, exploitation and abuse. Data gathering and analysis is essential when responding to children’s needs in these situations. Child Protection professionals have developed specialized skills and procedures to address these needs, but in extremely challenging humanitarian environments, it was evident that better tools were required. 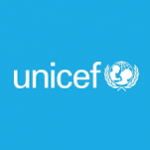 In 2012, UNICEF and partners embarked on a project to provide a more effective and secure information management system to UNICEF country offices and implementing partners. This project created a platform called “Primero” (Protection-related Information Management) and it was successful in helping social workers and protection officers more efficiently deliver, track, and report on services in very complex operational environments. These deployments have added to the demand for the application so there is now a need for additional services which can be used by UNICEF teams globally to support the implementation and scaling up of Primero. What we really don’t have are enough practical examples of how to scale software and support services in rapidly changing humanitarian contexts. We look forward to helping create a model which works well, can be studied and also improved by other professionals working in the sector. As an open source tool and global public good, Primero’s code is publicly available and encourages further applications for children in communities displaced by conflict and crisis, and in other populations at risk of violence and exploitation.